Just weeks after the massive, deadly Costa Concordia cruise ship crash, there are reports from the Italian Coast Guard of another Costa cruise ship on fire. This time it's adrift in the Seychelles off the coast of Africa in the Indian Ocean. Reports from various news sources say the Italian Coast Guard has had word of a Costa-flagged ship "adrift" in the Indian Ocean off the coast of the Seychelles islands near the east Coast of Africa. Not exactly where you'd want to break down. The fire apparently started in the electric generator room but did not spread to the rest of the ship. 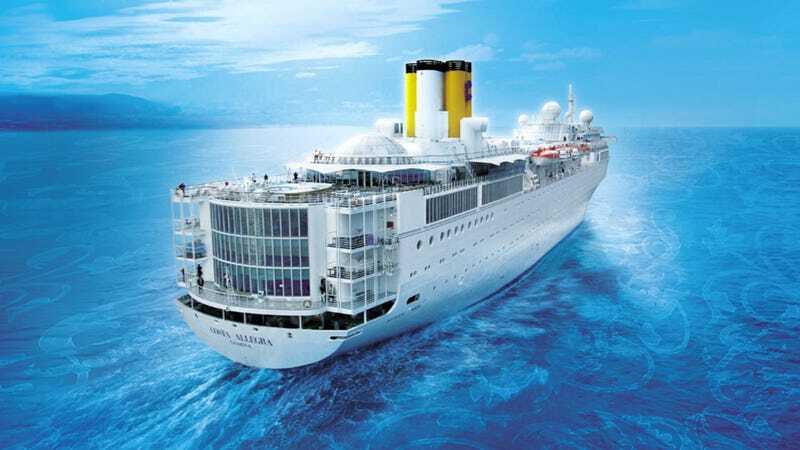 It's unclear what ship it might be, but it's possible it's the Costa Allegra, pictured above, which was recently in the area and is soon to be replaced by the newly refurbished Costa neoRomantica. We'll update when we have more details.